On February 18, 2019, Detectives from the Milford Police Department investigated a Strongarm Robbery that occurred in the area of Bridgeport Avenue and Loomis Street, Milford. The victim was a delivery person from a local restaurant. A male suspect approached the victim on foot and pointed a gun against the victim’s neck, taking the victim’s cash and cell phone. Detectives initiated an extensive investigation resulting in multiple search warrants. On March 13, 2019, Milford Police Department executed a search warrant at a Bridgeport Avenue residence. While executing the search warrant, Maurice Johnson (B/M, 27) 269 Bridgeport Avenue, Milford, attempted to jump out of a second floor window but was quickly apprehended. Evidence related to the robbery was located in the residence and Johnson was taken into custody. Clothing, a ski mask, and a 9mm semi-automatic handgun with a 30 round extended magazine were seized from inside the residence. The iPhone that was stolen from the victim was also recovered. 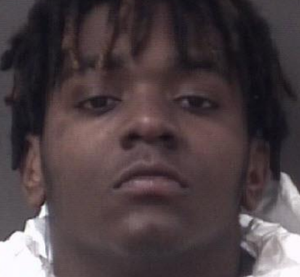 Johnson is being held on a $100,000 bond to appear in Milford Court on March 14, 2019.